This week Fudge is honouring one of the most famous animators in the world: animator, producer, director and writer at Disney & Pixar, John Lasseter. We shouldn’t need to tell you who this man is or what he’s done for the industry but let’s just say that he’s had a hand in establishing some of the best animation studios and creating the best, most iconic animated films ever made. At the age of five, he submitted a crayon drawing of the Headless Horseman to a competition at the Model Grocery Market in Whittier, California, netting him his first award and $15 in cash. The Art of Animation by Bob Thomas was the book that inspired him to become an animator. I say inspired, it pretty much made him realise that it was possible. Still in high school at the time, Lasseter was reading this book which is all about the Walt Disney studio and the making of Sleeping Beauty and he thought: “wait a minute, people do animation for a living?” I think most of us have been there – animation seems like such a magical, unobtainable industry when you’re reading about Walt Disney or watching your favourite movies, it can be a shock to realise that this is a real career option! 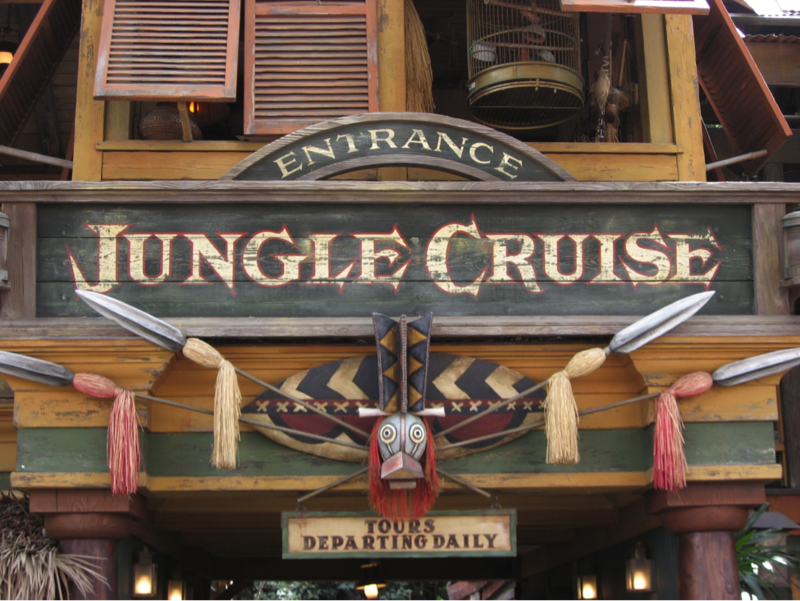 Whilst studying a character animation course at the California Institute of the Arts, he worked at Disneyland as a Jungle Cruise skipper as his summer job. From early on in his career, John knew that it was Disney or bust, he couldn’t even wait until graduation to get his foot in the door! Apparently, entertaining the passengers aboard his little boat here helped to develop his comedic basics like timing and pacing. Out of 10,000 portfolios submitted to Walt Disney Feature Animation in the late ‘70s, Lasseter was one of only 150 taken on as an apprentice. After finishing his higher education in 1979 he immediately got a job here as an animator against massive odds. Sorry to crush the dreams of all you budding animators out there hoping to follow in his footsteps but competition is even fiercer today… Don’t throw the towel in just yet though! Maybe just take a peek at what Dave said were his top tips for getting into animation. The four movies A Bug’s Life, Monsters Inc., Finding Nemo and WALL-E were all planned out at a brainstorming session during a lunch meeting in 1994. Sometimes called ‘The Pixar Lunch’ or just ‘The Lunch’, this is one of those bonkers facts that most animators are aware of but still blows the tiny minds of regular folk like you and me. Lasseter, accompanied by Andrew Stanton, Joe Ranft, and Pete Docter sat down for a lunch meeting to figure out what Pixar is going to work on next since Toy Story was almost complete. What they left with was the outlines of the four movies as well as sketches of the main characters on the napkins from the table. Makes you wish you’d done more with your lunch break than sit and read an animation blog, huh? He was let go from Disney for pushing them to use computer animation. Jeez John, quit being so darned progressive over here. At the time, the head of Disney told him there were no cost benefits in mixing traditional and computer animation. After this heartbreaking event, he joined the Graphics Group of Lucasfilm (later renamed Pixar), and won two Oscars. Oops! I bet the bosses at Disney were kicking themselves at this point. Luckily Lasseter didn’t spend too long apart from his dream company because when Disney bought Pixar in 2006, he was hired back as chief creative officer for both the companies. He is a close friend and admirer of iconic Japanese animator Hayao Miyazaki. Miyazaki is a film director, producer, screenwriter, animator, author, and manga artist famous for his productions at Studio Ghibli, which he co-founded. Lasseter met him when Miyazaki visited Disney in 1981 as part of a delegation of animators. Many years later, Spirited Away, Howl’s Moving Castle, and Ponyo were among the massively popular Ghibli films which Lasseter served as executive producer for during their release in the United States. Toy Story’s Buzz and Woody are based on real toys from Lasseter’s childhood. Woody was based on a pull string Casper that he owned when he was a child and Buzz Lightyear was based on his G.I. Joe action figure. He virtually brought his childhood toys to life and they, in turn, captured the imagination of thousands. 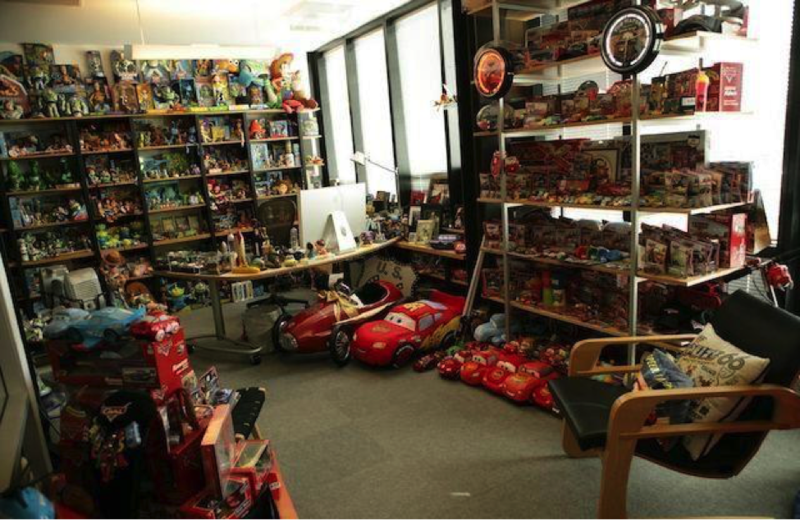 Lasseter owns an extensive collection of toys in his office, many of which are from Pixar films such as Toy Story and Cars. Whenever his youngest sons were little, they’d always wanted to go into his office and play with his toy collection. The only catch was… the toys that Lasseter owns are antiques or one of a kind toys worth an absolute bomb. Whenever his sons would want to play with them, he’d freak out (as you might imagine), and try to avoid them getting their grubby little mitts all over them. He opened a family winery in 2002 – the Lasseter Family Winery. Animation pays, people. All you have to do is be one of the biggest names in animation and be arguably the most talented animator on the planet. According to their website, “it requires passion, diligence and creativity to make memorable, world-class wines.” I don’t think that it’s a coincidence that the same can be said of animation, too. One of our absolute heroes and an inspiration to every modern animator without a doubt. We might come back with some more facts about other animation big cheeses soon, so who’s your animation hero? Drop us a line on Twitter @fudgeanimation or Facebook and let us know who you’d like to learn about! Founder & Creative Director. Dan started his career at Television Centre, working on some of the BBC’s flagship children’s television shows like Bob the Builder, the Teletubbies, Tweenies and Postman Pat. Dan is responsible for production and creative direction of client projects but is more generally involved in the artistic growth of the studio.